I listen to National Public Radio all the time. I learn a lot from Warren Olney’s program, “To The Point”. I also listen religiously to “Marketplace”, with Kai Ryssdal. NPR has a bit of a slant on occasions, and many of its programs are a complete waste of time. But, if you wade through the stupid stuff, you can get some excellent entertainment. There are times when I actually try to get a red light as I am driving my car, so I can continue to listen to a show. This week, NPR is doing another one of its fundraising drives. Despite its many excellent programs, NPR gets much of its funding from the generous support of its listeners. It really makes no sense, because many of NPR’s programs could easily survive on either a subscription basis or with ad revenue. NPR is supported by the taxpayers, to a limited extent. It gets funding from the Corporation for Public Broadcasting and because it is a non-profit, it gets on its high-horse about getting funding from traditional advertising revenue. But at the same time, it seems like some corporate sponsor is getting credit for giving money to the network. 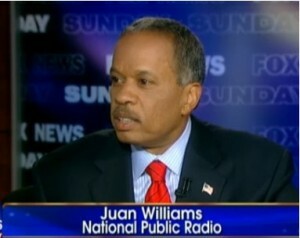 The other thing that has been confusing for me is the role of Juan Williams. Williams is most famously known as the liberal foil on the Fox News Channel. He has long been identified by his association with NPR because he had his own show there once. For the last couple of years, Williams has had a more of contributor relationship with the network, mostly because he spends much of his time on FNC. NPR decided to finally sever that relationship with Williams because he had the temerity to speak the truth. He said that he gets nervous when he gets on a plane and sees fellow passengers dressed up in Muslim garb. Here is his exact quote: "I mean, look, Bill, I'm not a bigot. You know the kind of books I've written about the civil rights movement in this country. But when I get on a plane, I got to tell you, if I see people who are in Muslim garb and I think, you know, they're identifying themselves first and foremost as Muslims, I get worried. I get nervous." Umm, will the first non-Muslim who doesn’t get a bit nervous when he or she sees a Muslim board their plane please raise their hand? NPR stepped in it on this one. It was clear that they were getting tired of Williams for a variety of reasons, and that this might have been the last straw. But they picked exactly the wrong reason to fire Williams. Sure, he was expressing his opinion. But isn’t that what journalism has become? A bunch of different opinions masquerading as fact? Journalism is going through an interesting change. More and more print journalists are appearing on cable television every day, mostly to give their new organizations a higher profile, on the assumption that it will help increase readership. 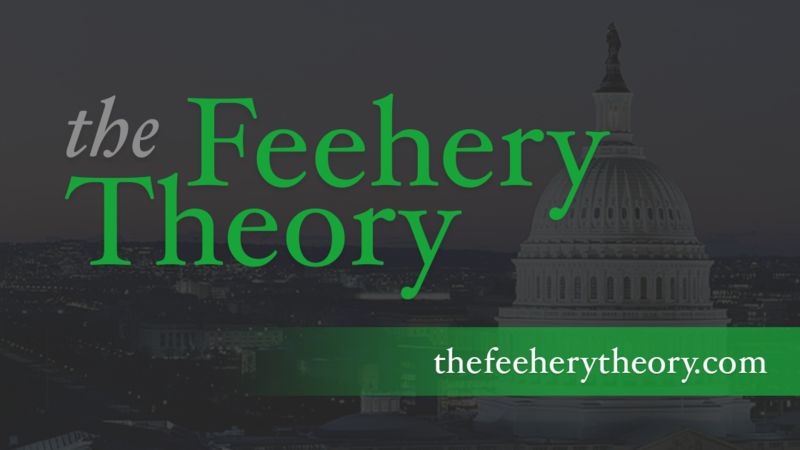 The theory goes that the more a reporter appears on television, the more famous that reporter becomes, and the more famous a reporter becomes, the more people are going to want to read what the reporter writes. That is the theory, and it is happening all over the place. And many of these programs, these reporters are not asked merely to report the facts. They are asked to give their opinions. Some of those opinions reveal the ideological biases of the reporters themselves. Just think for a moment about how the media treated Christine O’Donnell’s response to an inquiry about the separation of church and state in the First amendment. What O’Donnell said was factually accurate. There is no mention of the separation of church and state in the Constitution. Nowhere is that phrase mentioned. In fact, you can’t even find the word church in the Constitution. But O’Donnell was portrayed as a complete moron for making a factually accurate statement. That is the bias of today’s news media. Not one reporter, as far as I know, acknowledged that O’Donnell was factually accurate in her statement. They focused mostly on the idea that she is an idiot. I digress on this because I think it is important to understand that the media can’t hold itself up as a paragon of objective virtue and then drive news stories that expose their own personal biases. NPR can’t say that Juan Williams broke the code of the reporter when most of its reporters lean way far to the left and expose that bias on a daily basis. NPR has great programming that can easily survive in the radio marketplace. But it also has a lot of other programming that is better left in the world on internet radio, to be heard only by friends and family. NPR gets one percent of its funding from the taxpayers for no apparent reason as far as I can tell. It would be nice if that money could go to something else, like paying for the college tuition of a couple hundred of our brave servicemen fighting in Afghanistan or something. If NPR wants to fire Juan Williams for saying something that just about everybody agrees with, that is fine and dandy. Just have them do it with somebody else’s money.